Every industry has something to hide. I'm randomly found this film on iTunes and was initially turned off by the fact that it has 3 (!) languages in it, but regardless, I rented it because the trailer looked pretty decent. Also, the third language, Miskito, is only heard for a few beats. 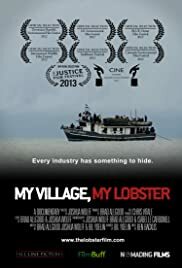 It's slow at first, but wow- I never knew this is where our lobster tails came from, or that this is HOW they're caught. I'm keen on learning about where our food comes from, but this was as shocking, if not more so, than some of the recently released food docs. I highly recommend this. Beautiful filmmaking, great editing, outstanding soundtrack to boot.